Organizational Change Plan for Cowboy Bank Inc. Organizational change has become a necessary choice for many organizations over time. They reinvent themselves, usually to stay afloat amid fierce competition and volatile markets. The Cowboy bank is in a state of stagnation. A change program has been drawn by the leadership team. This is the plan to implement these changes. This paper deals with all the aspects involved in implementation of the changes. It also deals with issues that result from the changes, such as personnel morale. It has four sections: Background, Stakeholders analysis, Change management structure and Consolidation. These four constitute the whole implementation plan. 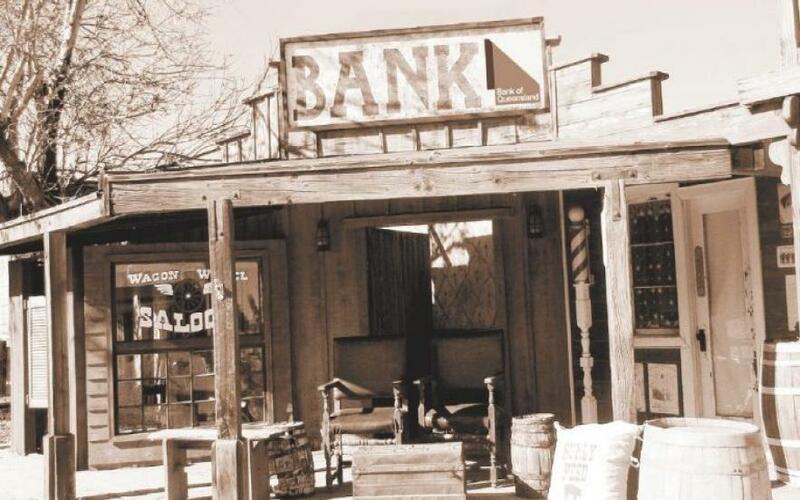 The Cowboy bank has had a decent run for the better part of the last 80 years. Established during a period of exponential growth in farming and ranching industry, especially in Texas, it has had a consistent growth trajectory driven by lending to farms and ranches. However, like any other business, the bank has a cycle and is influenced by the industry’s cycle (Cowboy Bank, 2012). The bank’s management has observed that the bank has reached a plateau stage mostly due to possibly the plateau of the agricultural industry in the state. This plateau state is also as a result of the model of business used by the company; a reactive model. The plateau stage is a stage in a business’ cycle where no growth is experienced, even though the revenues are sustained at a relatively high level. Need help with writing an analytical essay? Our writers have great experience in writing various papers including this one. If you decide to work on the assignment on your own, we will still provide you with the valuable writing tips. Unfortunately for the bank, while the plateau provides a consistent level of income from the lending to farmers, the costs of doing business keep going up. Consequently, the profits are on a diminishing trajectory. This leads to the final stage of the business cycle; death. The bank’s management has realized that even though the $5 billion company has a strong standing financially, it is approaching death at a fast rate. The fact that the company is a billion dollar company also does not help. Recent events in the US have seen companies worth more than 10 times the bank go down due to financial problems (Carroll & Mui, 2008). This shows that the cowboy bank does not have security. As mentioned earlier, the industry cycle is also influencing the slow business and decline in revenues (Sushko, 2006). The agricultural sector is probably not at the plateau stage as the business. However, it is in a state of development characteristic of a lot of changes. By far the most influential factor in development in the industry is technological development. The industry is being influenced by technology (Mukhopadhyay, 2012). Nearly all sectors of the economy are embracing the use of technology to advance their productivity. In the agricultural sector farms are adopting technology to improve their productivity as well. Unfortunately for the bank, technology has a tendency to improve efficiency and hence reduce ware and tire and wastage (Ahmed & Bagchi, 2007). The model of the bank is to lend to farms which use the money to buy equipment and farm inputs. The more efficient the farms get, the less machinery expenditure they incur. This means that individuals seeking loans reduce considerably not taking account of competing firms. Nevertheless, there is an opportunity in the industry change being experienced. Adoption of technology initially requires significant capital expenditure (Li, 2008). Therefore, the same farms that required funding for their equipment and inputs could be now looking for funding to acquire and install new technology. The bank, therefore, has to take this into account. Change is essential for the Cowboy bank. As mentioned earlier, the bank’s model factors heavily into the decline in business. Traditionally, the bank has focused on providing customer care in every county in Texas. This meant operating a branch in each of the 254 counties. While this has worked during the better part of the bank’s life, it is increasingly turning on itself. What I mean is, as revenue growth decreases, operating costs go up considerably. With more than 200 branches to operate, each with personnel, equipment and other costs, the current bank model is proving a burden to the bank rather than an asset. If the bank wishes to stay afloat, it has to allow for change in the areas mentioned here (Harvard Business Review, 2010). According to the directives of change provided by the banks development team, the bank is particularly keen to change in order to get ahead of the decline in business. In developing change management plans and strategy, the goals of the organizations should drive the plan. The Cowboy bank has realized its downward trajectory and has decided to change. However, the bank has also realized that the magnitude of changes proposed is bound to set a couple of ripples within the organizations. While the goals of the organization are admirable, the consequences of change can be catastrophic to the organization’s staff and all that are involved in the business environment of the organization. I have identified the four objectives with which to align the plan. Failure to align the change plan with these objectives can have a negative effect on the organization (Slater & Olson, 2000). Possibly even reducing the effectiveness of the changes made. The objectives also guide strategy formation. While strategy should mainly be guided by the main goals of the Cowboy bank, it is essential that these objectives, identified by the leadership team be considered. Forming strategy without putting the objectives into consideration can cause a considerable amount of damage in addition to rendering the organizational change management ineffective. Another importance of strategy alignment with the objectives, is that it clarifies to everyone involved in the operation, what way is intended to be taken. According to the directive by the leadership team, it is essential for the organization staff to be on the same page in the implementation of the changes. If the strategy does not count this factor, then it is useless in attaining the organizational goals. The first goal to be considered is maintenance of acceptable morale within the organization. Acceptable morale can be understood to mean that the leadership team expects the plan to ensure that the employees of the organization, on all levels are enthusiastic about work enough to accomplish the goals of the organization. A motivated workforce is essential for any organization undertaking drastic changes such as the Cowboy bank (Zurn, Dolea, & Stilwell, 2005). The directive states that the employees in the various branches have been extremely valued for their work over the years. Imposing change on the employees would result in reduced morale. While change is suitable for business, it is often not accepted within organizations. There are factors that can result in incomprehensible drop in morale. The most vital reason is that as per the changes the bank is instituting, a majority of the employees will have to change their job descriptions. Other factors are relocation to new areas and the fears of being retrenched in the organizational change exercise. Therefore, it is crucial that the change management plan address these factors to ensure that a proper level of morale is maintained. The plan will account for the various possible scenarios that can result in morale change among the stakeholders of change. It will also propose ways to counter the effects of change that relate to employee morale. If you experience problems with writing a persuasive essay on racism, you have a wonderful option to get help from professional writers at Pro-Papers at affordable price. The second objective that has influenced the structure and methodology of the plan, is communicating a persuasive vision to the organizational personnel. Vision is essential for an organization undertaking drastic changes. A vision should have a proper foundation so that every stakeholder in the organization knows exactly where the organization is going and what their role in achieving this vision is (Humphreys, 2004). Even though the leadership team has drawn the vision, the rest of the organization needs to understand it and embrace it. This is essential if the organization is going to succeed in achieving the vision. The vision of the Cowboy bank is to have a new model of business. This model will allow the bank to reach new markets and provide better customer service. It also envisions having a broad human resource focused on sales. This is different from the present state. The bank is focused on lending to individuals who come to the bank for loans. A majority of its employees work as loan officers who process loan requests and customer service representatives. Another ambitious part of the vision is to have the branches of the organization reduced from the current 254 to about 20. Technology implementation is also a key part of the vision the organization wants to build to (Tidd & Bessant, 2011). This vision ought to be communicated to the employees. Better yet, the plan is supposed to form a dialogue with the employees to allow them time to accept the vision as it is and if possible convince the leadership team to change it where a significant number of employees share concerns. It is essential to the leadership team that the plan foresees possible fall outs from the implementation of the changes within the organization (Christopher & Lee, 2004). While it is hardly possible to predict all of the possible shortcomings of implementation, this plan will intelligently predict outcomes that threaten the organization. Every human being reacts to change in different ways. While it is sad to admit, some of the current employees will not be able to handle the changes to be made. Some loan officers will not be able to switch to being sales people. Some employees will have to be fired while others will resign and find work elsewhere. Some older employees might prefer to retire instead of making the obviously tiresome transition to the new model. While this plan is not meant to measure the suitability of the changes to the organization, it has a mandate to make acceptable predictions to the leadership team. Another mandate of this plan is to form a contingency plan that is effective in managing the risks of the above happening. The plan will provide suggestions for the organization to manage risks associated with these changes. The final objective provided by the directive is to form a comprehensive plan. This objective directly influences the plan itself. According to the leadership team, this plan should have appropriate timelines and action steps for various functions. I have considered this objective and aligned the plan to match this requirement. The plan will have provision for employee education and communication, implementation and institutionalization of the changes. This objective is vital as it guides the formation of the plan. It has specific requirements for that the leadership team deems vital for the success of the transformation. It also provides the key functions that will drive the process of change. That is, education, communication, implementation and institutionalization. According to Yaeger (2006), the financial services industry is undergoing drastic changes. The business environment has become dynamic forcing organizations to institute changes in order to keep afloat and grow. The report by Yeager (2006) shows that even though there are thousands of organizations undertaking changes in their business structures, only a few have managed to institute effective changes. Many have been able to change enough to keep making money but there are a few which have managed to grow even in the dynamic market situation being experienced. The report is an analysis for the trends being observed in the few financial institutions that have managed growth. Yaeger (2006) finds that there a number of common characteristics to the firms. However, the most substantial one is the governance structure. The report suggests that there is conclusive evidence that the structure of the body instituting the changes is the most prominent part of the plan. There is no one way of identifying the structure. Each organization will often have its own structure to institute the changes. Therefore, the Cowboy bank has to have a structure determined by its vision and characteristics. Carefully choosing the initiatives. They set priorities in the implementation of the changes and have strategic alignment. Risk management. They account for possible risks associated with the changes and form contingencies. Choosing the appropriate methodology to insitute change. The report claims that 80% of success is in how the changes are implemented. This indicates the significance of this change management plan. Considering the impact on various parties associated to the organization. The firms differentiate between parties who are impacted upon by the changes and those who drive the changes. This way, they are treated appropriately during implementation. Managing time during the transition and balancing between different initiatives. During the implementation, activities have to overlap, occur simultaneously or follow each other. Managing the processes involved in this is vital for the organization. The organizations studied show the ability to manage the activities seamlessly. Failure to manage these activities result in confusion and possibly the derailment of the implementation process. Writing an annotated bibliography is a very important skill that will be required to practice at all stages of college or university education. If you wish to obtain it, check out our annotated bibliography writing service. This look into the industry trends supports a number of the features of this plan. Even though most of the firms studied are in different situations, the conclusions of this report still apply. The report does not suggest a one size fit all approach to change. In fact, it recognizes that every organization has a unique set of problems that necessitate change. in this way, the report is an appropriate source of inspiration and direction in forming the change management plan. It is also essential to consider industry analysis to ensure that the plan does not have loopholes that could compromise the changes in the organization. Industry analyses show how other organizations have carried out certain functions. They also, more importantly, show strategies that have proven ineffective in the past. This saves time in the strategizing of the management plan (Bikker & Haaf, 2002). The fundamental lesson drawn from this industry analysis is that successful change organizations incorporate measures of accountability, form strategic alignments, have clear authority concepts and have a well elaborated methodology of executing changes in the organization. This lesson is considered when developing the plan for change in the Cowboy bank.